Buying for someone else? Show your GM some appreciation with a 2 month voucher. Every month we release two brand new shiny Sci-fi SoundSets. See our Release Schedule Details page to see all the amazing content we have planned PLUS in between we release bonus content based on what users are asking for most loudly! Keep building your library by remaining a subscriber! 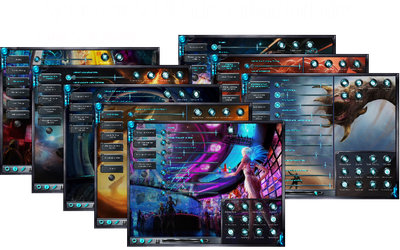 Plus, as long as you remain a subscriber the complete catalog of Syrinscape Sci-Fi SoundSets will be accessible to you, even the ones you haven't ever paid for. If we've made it, you'll be able to download and use it.